The ‘Bostanlı Footbridge’ and ‘Bostanlı Sunset Lounge’ promise a new urban space to experience different forms of idleness. The ‘Bostanlı Footbridge’ and ‘Bostanlı Sunset Lounge’ have been designed by Studio Evren Başbuğ Architects as part of the ‘Karşıkıyı’ concept created for the ‘İzmirSea’ coastal regeneration project. These two architectural installations, which are positioned in close proximity and in reference to each other, have generated a new, integrated coastal attraction, where the Bostanlı Creek flows into the bay, on a very special and unique spot due to the geometric form of the coastline. Opened in July 2016, the site has become one of the top public attractions in Karşıyaka, İzmir and has been embraced and visited by residents from all over the city. “Our client was the Metropolitan Municipality of İzmir and they didn’t really have a very detailed brief for this site but they rather had a general motivation to strengthen the links between the urban coastline and the inhabitants of the city. 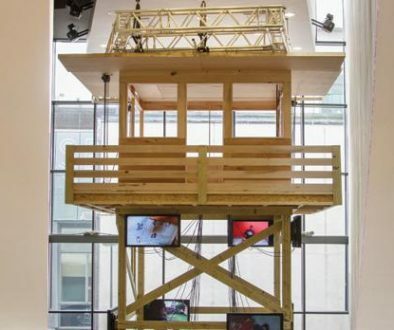 As such, these two urban installations, facing each other in the same spot, sustain the general framework defined in the ‘Karşıkıyı’ proposal. Natural, independent, ingenuous and inclusive; both designs serve as genuine ‘counter-spaces’ in the urban setting,” said Evren Başbuğ, Founding Partner, Studio Evren Başbuğ Architects. In alignment with the masterplan of the ‘Karşıkıyı’ concept, the ‘Bostanlı Footbridge’, was proposed to connect two sides of Bostanlı Creek and would serve as one of the missing pieces of the continuous coastal promenade. With its slightly bow-shaped longitudinal section and specially designed support geometry, the bridge allows for the passage of small boats and provides access to the floating pontoon located on the creek. The ‘Bostanlı Footbridge’, oriented in its unique position and providing a view of the bay on one side and the city on the other, has been designed with an asymmetrical cross-section. 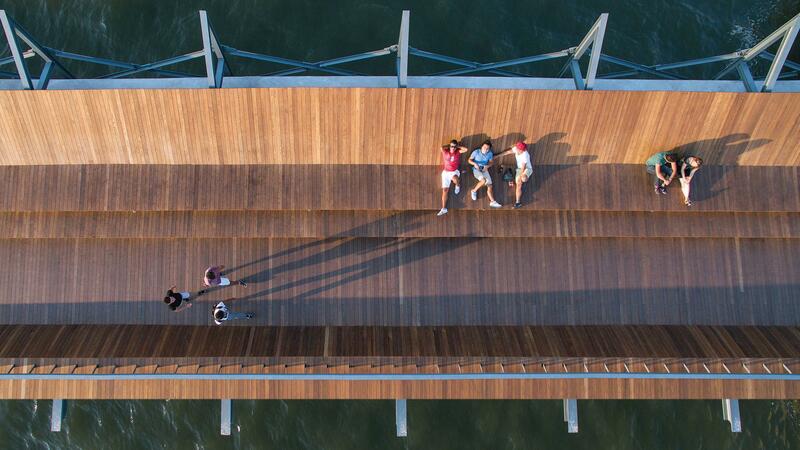 This special section is formed by several cascading thermally-modified American ash boards, produced and provided by Novawood, installed on a steel frame, allowing users to enjoy the view of the bay either sitting or sprawling. In this way, the bridge goes beyond being just an infrastructural urban element, solely used as a thoroughfare, and instead, serves as a public leisure and attraction piece in relation to its environment. “Given that the site was so unique in terms of its location and geography, as designers we did not need any more inspiration from the outside. The ‘Bostanlı Footbridge’ and ‘Bostanlı Sunset Lounge’, both promise a new urban space to experience different forms of ‘idleness’, by employing the social, geographical and historical backgrounds of this unique location. These new coastal installations fit perfectly with the ‘Easy Way of Living’ vision established for the city of İzmir, by the ‘İzmirSea’ coastal regeneration project,” added Başbug. The ‘Bostanlı Sunset Lounge’, which lies on one of the few coastal fragments facing directly west in Karşıyaka, is also made from a series of thermally-modified American ash boards from Novawood, which form an inviting urban surface, stretching between the artificial slope covered with trees and the embankment itself. The simplicity and fluency in the surface geometry encourage the user to experience a more direct relationship with the setting sun and the sea. Just as in the case of the footbridge, the lounge gives a welcoming feeling, which is mostly down to the natural texture of the thermally-modified ash. Built from a series of wooden platforms reclining on a wooded hillside, all the way down towards the sea, the design encourages users to achieve a closer connection with the sea. In this way, the lounge helps users to re-discover a long-forgotten İzmir ritual, which is still present in the urban memory, and invites city residents to watch the sunset and spend quality time together in the evening. “Given that the site is on the sea coast, all the materials are open to the corrosive effects of salty sea water. Also as a Mediterranean city, İzmir has a relatively high percentage of sunny days, leaving the thermally-modified ash vulnerable to the ultraviolet sunlight. These conditions made us think twice at the design phase but we decided to give it a try. It has been almost a year since the opening, and we frequently visit the site to see if there is any significant material degrade, but the wood is performing well. Wood ages nicely,” added Başbug. According to Yakup Kayatas, General Manager, Novawood, Turkey has a long and rich history of working with wood. However, the use of wood in Turkey dropped significantly from the 1940’s onwards with cement, stone and steel being preferred. Whilst this was accepted for a while, architects and the design community have not been satisfied with the cold and pale appearance of non-timber materials used in urban landscaping projects. 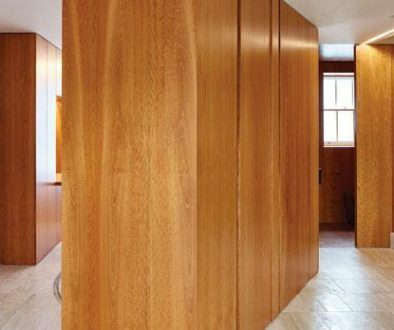 With this in mind, Novawood was established to pioneer the use of thermally-modified timber, which offers specifiers the option to work with a durable and dimensionally stable product. 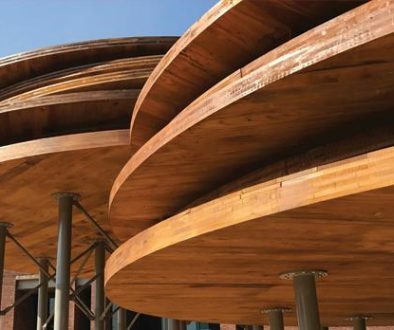 “After witnessing the reaction of the public to these new urban installations and observing how they use the spaces (exactly as we anticipated, actually), we as the designers are certain that timber was the only option for this project. In combination with the basic design ideas, the wood plays a major role and gives the project all the urban character it needs. We can definitely say that these installations would not be as successful as they are now, if we had used any other material,” concluded Başbug.